Dr. Reem Mostafa is a Specialist in Radiology. She has over 10 years of experience in the field of Radiology. Dr. Reem started her career as a Radiologist in 2007 with MOI - Egypt, She gained valuable experience in female imaging& obstetric scans before joining Cairo Scan Radiology Center in 2008 as Radiology Primary Reporterfollowed by Radiology Specialist in 2011. She later worked with Chlidren Cancer Hospital in Egypt for 2 years before joining Shrouk Radiology Center in 2013. 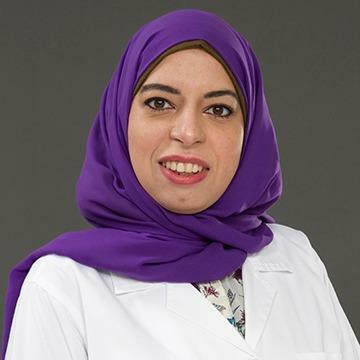 Dr. Reem likes to keep himself abreast with current practices in Radiology and has completed various training programs such as Doppler imaging course, Advanced Obs/Gyn ultrasound course & training, CT & MRI intermediate course and Sono mammography course amongst many others.